Some of you may well be wandering what it is that happens when we run a Life! Conference somewhere. Well a picture paints a thousand words, so here is a photo gallery to explain the what and how of some of what we are doing. “It’s 106 miles to Chicago, we’ve got a full tank of gas……” Ok we are not quite the Blues Brothers, but here are Andy and I ready to travel north to Kasama. 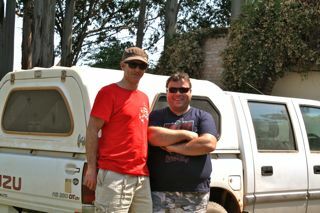 Our trusty (but getting a bit decrepid) Isuzu is behind us, our trusty steed for this trip. 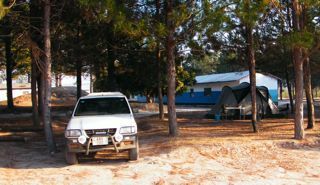 545 Kilometres, north east of Mkushi lies the large town of Kasama, it lies on the Great North Road whose ultimate destination is Tanzania. It took us 5 and a half hours drive to get there. 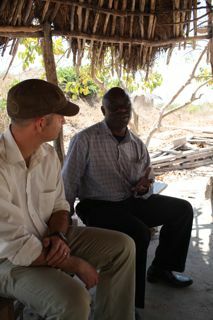 Here we met Cornelius who told us that we needed to go a further 30 km into the bush, where the conference was to be held. 30 minutes later after bumping down a dirt road we were there. This is Andy with Webster Chewe. Webster attended our Life! 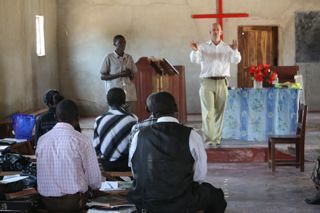 Planter’s conference which was held last July in Lusaka. At this conference we talked about the need for the church and community to come together to help people to understand Christ and to transform their community. It is usual for churches and people to be apart in many villages, this causes severe problems in areas that are already dependent and poverty stricken. Webster is not paid for his time, he volunteers it because it is not our work, most importantly, it is what God is calling him to do. This is our home for 4 days. Our trusty tent and a whole host of gear in the back. The buildings behind are a rural school. It looks idyllic doesn’t it? There’s no mains water, no electricity and no lights! People here live in mud huts and mostly grow their food to survive. 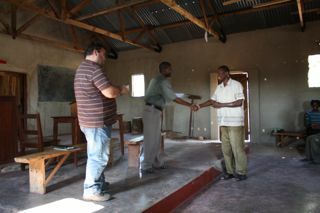 This is Andy speaking to the 30 or so villagers that have come together. Through seminars, group work and fun we look at the themes of dependency, working in groups, the hope that Christ brings and how together with Him, the villagers can achieve great things! We believe in the potential of people, no matter how poor they are, especially if they know God. 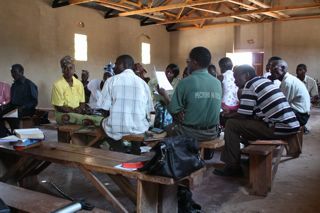 Through this work many villagers have discovered that they have a place in what God is doing and can be part of it too. From taking in orphans to fixing roofs, these lovely people are beginning to have hope. This is a typical small group. This concept whilst common elsewhere is often unheard of in the rural areas. We help people of different denominations to come together with people in their community in such groups. Each village will have at least one group and together they can learn and make a difference. Here the people are preparing a sample group drama which they must act out together. This is Webster’s group praying for one another. Their success depends on God and each other. It is not what one person can do with God, it is what many can do with God. 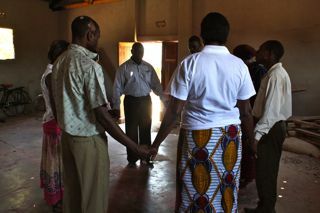 We also encourage the groups to pray and work together across villages. 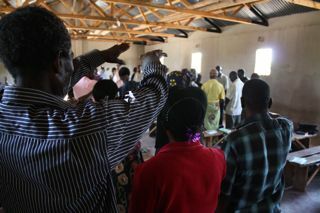 Here in this picture that are praying for one another village by village. They will nominate a few people to form a team that will help to coordinate the work of the village groups in the area. These teams form a spearhead in the future for further training and planting. We hope and pray that the future is bright. Many don’t truly believe that those who are poor, dependent and rural can be used by God to do something truly magnificent. WE DO! 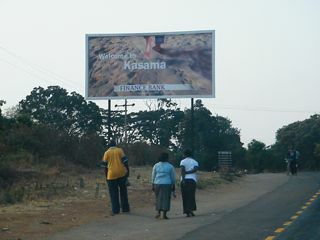 If Kasama is like anywhere else, the 6 groups that will begin will continue to grow. As they grow, new groups will begin. People will become Christians as they are not shut outside of the Church, and as everyone come to know Christ, they will work together more and more to see their own community transformed. We’re not trying to set up a project, we’re trying to inspire and equip a whole generation of people to move out of relational, financial and spiritual poverty. A Year and a half ago, there wasn’t even one star on this map. The Life! Initiative did not exist, now there are stars everywhere. They represent either contacts beginning work or existing groups and work. 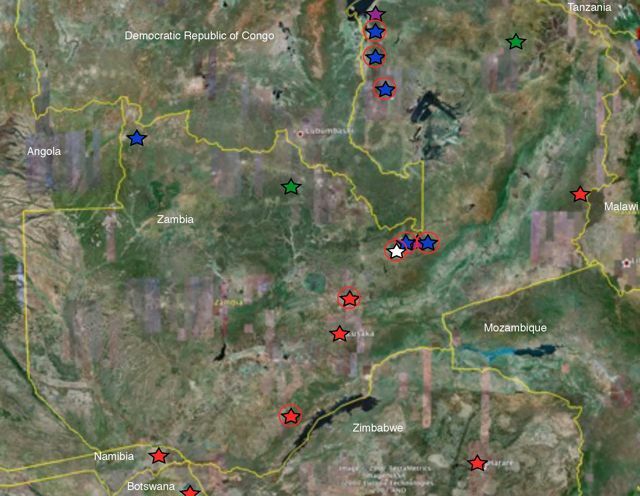 Zambia is 4-5 times the size of the UK with poor communications, so the work is often logistically and geographically challenging. 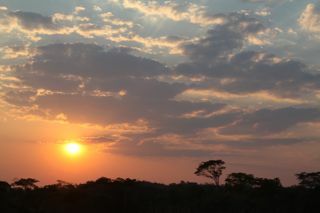 There are 7 million people in the bush, we want every one of them to know the life, potential and future they can have. You really do need to stand with us and pray with us. Great pics, great work, great people, great God.